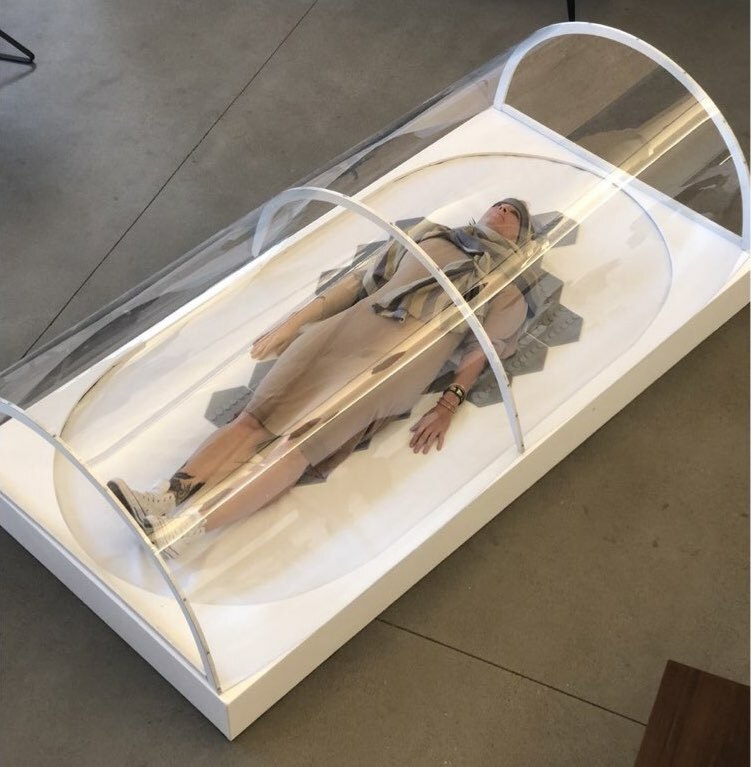 RE/ME is a body awareness tool initially based on the Haplós technology invented by Diego S. Maranan, and subsequently developed with Agi Haines, Sean Clarke, and Jack Fletcher. The team was formed out of the CogNovo PhD training programme in Cognitive Innovation at Plymouth University, and was selected for the award out of approximately 25 other teams that were formed during a series of EU-funded events called Hack the Brain held in 2016 and 2017. RE/ME uses carefully designed patterns of touch and sound to positively influence the perception of your own body by making you feel more whole. However, it can be further used to transform your experience of your body’s size and shape in imaginative and novel ways. RE/ME was one of five projects pitched at Art, Science & Technology Collaborations in Europe, a symposium on how the arts can be a catalyst for innovations that seek to address today’s challenges. RE/ME won the pitch and was chosen to be further developed at DART, a test laboratory in San Francisco, USA, with the help of a 10,000-euro grant. You can check out the slides of the presentation and learn more about the project here.